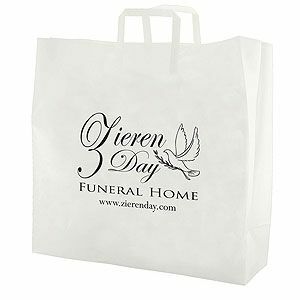 Display your custom print logo or design with these spacious, clear plastic bags. 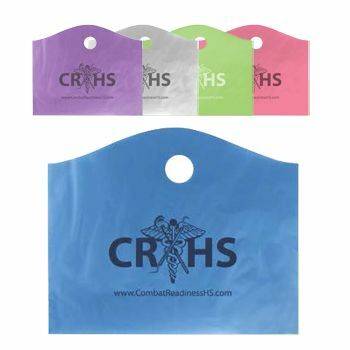 Ideal for gifts, brochures, handouts and more, this product draws attention to your brand in a cost-effective way. 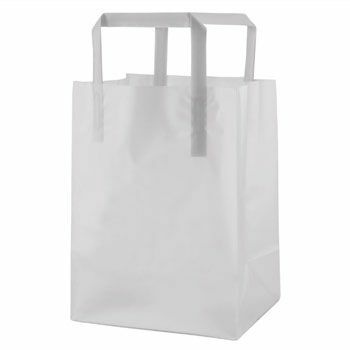 Customers will appreciate that the bags are reusable as well. Now showing the options for "4 Mil" and "1 Color - Hot Stamp Foil"
Made with durable 3.5 mil. 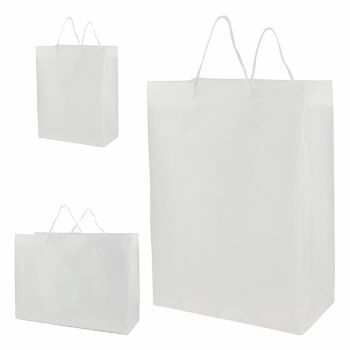 high density film, these frosted shopping bags feature a large imprint area to boldly display your brand. 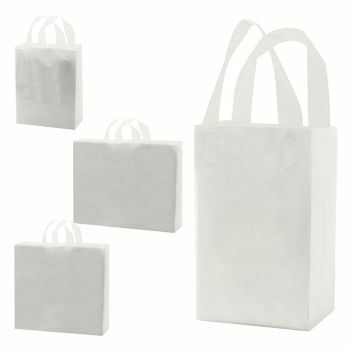 The fused tri-fold handle, side and bottom gussets make the bags reusable and tear-resistant. A cardboard bottom insert allows for larger items and easy transportation. 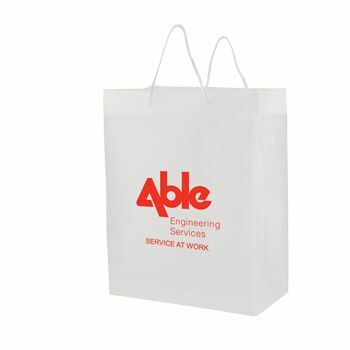 Rush delivery is available; on-time production guaranteed. Begin impressing your customers and order yours today!